The central bank last eased policy half a year ago. It can always find excuses to prevaricate longer. The euro rally has paused, rises in short-term market rates have yet to lift longer ones, inflation is inching up. But the economy needs help, and the quicker the better. 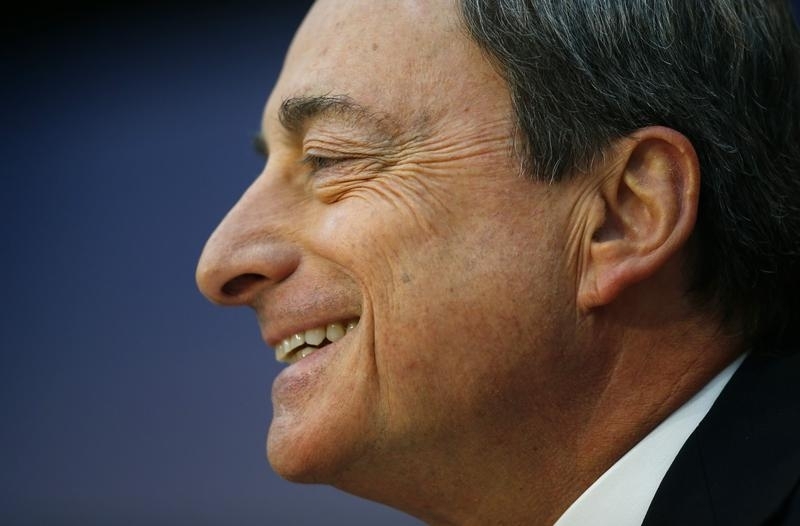 European Central Bank (ECB) President Mario Draghi smiles during the monthly ECB news conference in Frankfurt April 3, 2014. Euro zone consumer prices rose 0.7 percent in April compared with a year earlier. While that marked a rebound from March’s 0.5 percent, it remains less than half the European Central Bank’s target of keeping inflation close to but below 2 percent. The European Central Bank’s next policy meeting is on May 8. It has kept policy unchanged since Nov. 7, 2013, when it cut its key interest rate by a quarter of a percentage rate to 0.25 percent. Lending to euro zone households and companies fell by 2.2 percent in March compared with a year earlier and money supply growth slowed, according to ECB data released on April 29.